How is it possible that some people seem to excel at all manners of standardized tests? Is success on standardized tests the result of innate ability or achieved through practice and preparation? Are there any common skills or strategies that span preparation for different standardized tests? Much more than a rhetorical lede to a lone blog post on the GRE, these questions are the focus of intense and ongoing study and debate (c.f. here, here, and here just to begin), of which the answers hold lifelong consequences for individuals and profound social and economic implications. Preparing and administering standardized testing is also big business, and not only for the big college, professional, and graduate entrance exams but also for professional certifications and, most important since No Child Left Behind, a bonanza for companies like Pearson. Among parents of young children, one of the most frequent topics that comes up inter nos is which school to send our kids to, and a top concern is how prominent and frequent standardized testing will be. Indeed, the future of standardized testing appears to be nearing an inflection point in education policy. Sound familiar? To someone who has prepared students for the SAT, ACT, MCAT Verbal, GMAT, GRE, and LSAT, Stanford-Binet represents a veritable Rosetta Stone of standardized tests. 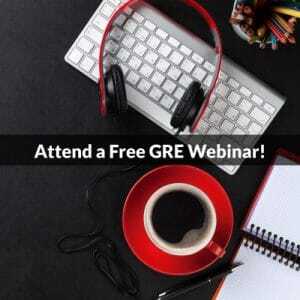 Considering the common threads that connect many of these tests and how students prepare successfully for them, I’d like to share some of the commonalities I’ve observed to help you prepare a schedule, plan, and strategy for success on the GRE. One of the most biting and valid criticisms of IQ testing is its deficient corrections for the cultural milieu and opportunities afforded to different children that confound the legitimacy of intelligence scores. You might recall the famous and infamous 1994 book The Bell Curve that posited inherited factors of intelligence resulting from ethnicity. The controversy revolved in part around the importance of nature versus nurture for success in academics. This nature versus nurture question is still an important factor in both how these tests are developed and how you must prepare for them. From my own life, I frequently remark how the influence of my father’s often arcane diction makes me both an easy target for my friends’ jokes and an ace at vocabulary tests. In recent blog posts, I discussed some of the more time consuming and important steps for beginning preparation for the Quant and Verbal Reasoning sections of the GRE. Mastery of math fundamentals and vocabulary are two crucial foundations of GRE success and they form part of the core content of the GRE. Fluency in these subjects cannot be covered adequately in any GRE preparation course. They are part of the pre-work that should be tackled either before you take a course or (in the case of vocabulary) as an ongoing and lifelong effort to improve your range and literacy. Likewise, just as I find myself rusty and stilted when I start to write a long-form essay after not writing for a long time, you would be wise to consider all the basic concepts and skills addressed on the GRE and make sure that you are comfortable with the tasks you will be expected to perform. To improve at writing, you must write. To improve at reading comprehension, you must read. As I mentioned at the outset, there are some people who have a knack for doing well at standardized tests. I know a guy (actually several in my line of work) who could take most any standardized test cold, whether he knew what was being tested or not, and still perform at or near the highest percentile. He is brilliant, but some of his success just comes from intimate familiarity with the structure and logic of these tests and how best to weed out the incorrect answers. If you don’t know rules of exponents, for example, it will be difficult to do well with a GRE Quant problem that explicitly tests which math operation to use when getting the power of a power. Thus it is crucial to master some core content. Once you know the rules and how to apply them, test taking strategies become paramount. What kind of language or syntax in answer choices makes them more or less likely to be a credited response? What is the purpose or function of a given question? Is there an implicit skill or concept that a given question is testing? Are there trap answers? Which answers were written to take advantage of students’ misunderstandings or careless errors? This is by no means an exhaustive list of test-taking skills that translate across standardized tests, but you get the idea. I’ve even seen “trap answers” in aptitude testing for young children. Some fundamental elements of standardized testing are universal. As a second step in your preparation, learning these skills and how and when to apply them should be a priority. Even if you have a solid grasp of the content and know the techniques and strategies for test-taking success, a final key element to success in test preparation is to master your pacing and timing. Often with students, we will reach a stage at which they feel as though they finally “get it”: they know how to get the right answers. Unfortunately, they will sometimes take a diagnostic test and realize that even though they can get the questions right, they’re running out of time or are wasting unneeded time on certain questions that could be better spent getting points elsewhere. Timing is the component that pulls all the other work together. Just as content mastery takes time, so does developing a sense of timing and skill at choosing your battles on standardized tests. Since the GRE switched away from a pure Computer Adaptive Test (like the GMAT) and became a section-adaptive Computer Based Test, the kind of CAT voodoo timing that students’ had to do has fortunately become less significant. However, you still need to know where you are in a section and how to budget your time effectively. For this reason, one of the most frustrating situations I encounter as a tutor is when students allot a month or less to prepare for a standardized test. For the greatest results with preparation, developing a kind of internal clock is a crucial component for success. When you take the actual test, checking the clock should ideally be nearly superfluous. In addition, many of these tests are gauntlets. The MCAT recently doubled its length to become a six-hour-long ordeal. From start to finish, the GRE and LSAT are both nearly four hours long. To prepare for any standardized test, you must develop your endurance and train yourself to maintain your focus and cognitive acuity for an extended period of time. Posts of this nature are inherently limited in scope. A more exhaustive and analytical discussion of these tests could dive into far more detail, but such a discussion might be more interesting as an academic exercise than as a useful guide for you in your GRE preparation. I encourage you to consider where you are in your preparation, what you have accomplished so far and what work remains for you to achieve your greatest success. All three of these steps build upon each other and are independently important to work on. Ask yourself whether you have addressed these three skills adequately. Don’t be afraid to return to the basics if need be. If you have questions or observations, please comment below. 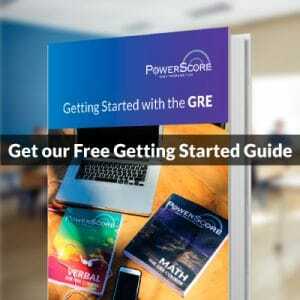 If you are ready to pursue your GRE preparation with PowerScore, I encourage you to explore all the options we have available, whether for self-study, a course, or individual instruction with one of our eminently qualified instructors.